I just wanted to send a quick thank you letter for the excellent work you did for us installing our new air conditioner. Everything about the job went smoothly due to your staff’s “Can-Do” attitude and we are super pleased with our purchase. I had a feeling right from the first call back from Gavin that I was going to be looked after like a valued customer! Within a couple of business days of that first interaction, Gavin had me scheduled for a visit for a site evaluation and air conditioner selection. When Michael showed up for the site visit he was right on schedule and he patiently spent over 90 minutes with me helping me decide which air conditioner would be the best fit for me from a cost, size, noise level, energy consumption, and warranty perspective. 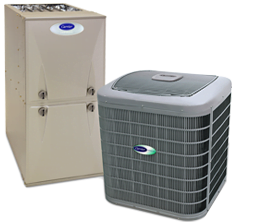 After I decided on the right unit for me, we walked through the installation process to make sure everything would physically fit and connect well to my existing furnace, just so there wouldn’t be any problems with where I wanted the new air conditioner located. When the work crew ascended on our house a couple of days later, again they were on schedule. Some of the team worked quickly to remove the old air conditioner and clean up that existing installation while others on installation of the new unit at the new location. The installers were awesome! They were respectful of our home and our curious little dog. They cleaned up after they were done including properly disposing of the old existing air conditioner. They even assisted with the warranty registration process. I am simply amazed that every step of the process was treated with exactly the same customer first attitude! It’s rare to deal with a trade where every member of the team is so totally customer focused! Thank you Provincial! We love our new air conditioner!